Wooden Badge Buttons (32 pieces) one size in kit, variety available here. *The Stamp of the Month may vary depending on your purchase date. If you order online, it will be the month in which you are purchasing. If you order by contacting me, it will be Home Sweet Home. *The Constant Campaign you qualify for may vary depending on your purchase date. If you order online, it will be the month in which you are purchasing. If you order by contacting me, it will be the February Special. 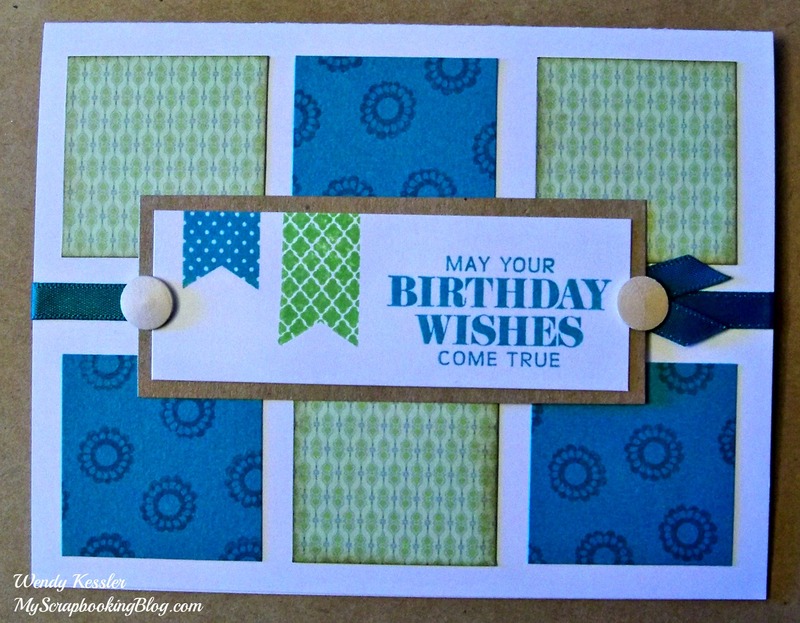 * 1 sheet of 12×12 cardstock (or scraps) Many colors will work for this. I used Outdoor Denim. Other choices could be Kraft, Chocolate, Buttercup, Champagne, Cotton Candy, Pear, Ruby, Sunset, or Twilight. 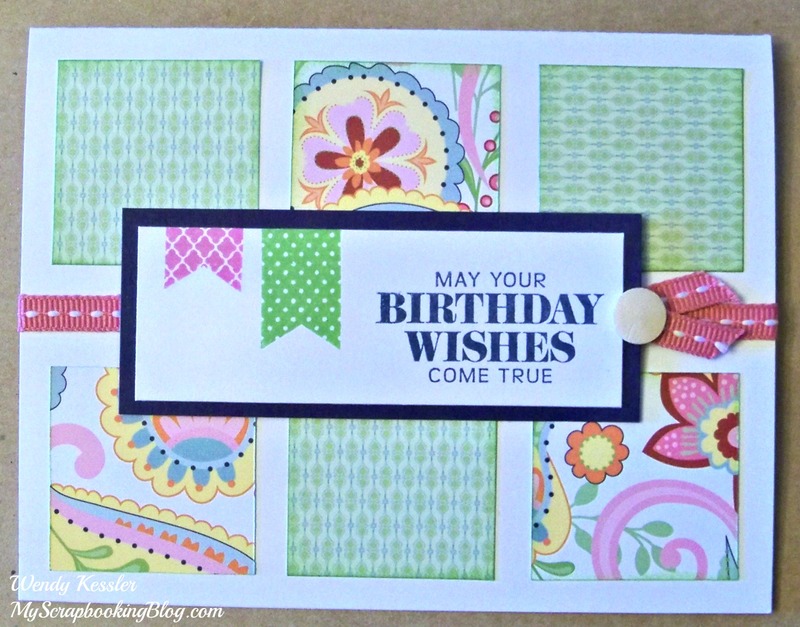 * ribbon and embellishments (again this could be any you have around). I used Blush stitched ribbon (retired). You could use buttons in place of the Wooden Badge buttons. You could cut circles and stamp them, or you could omit this all together. I left them off my extra cards and they look just fine and will be flat for mailing. 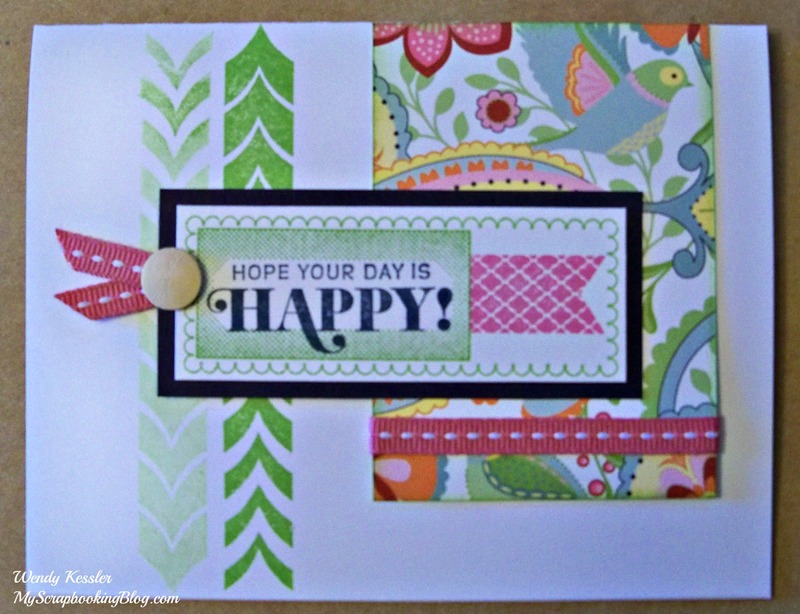 * Flip the B&T Papers to the opposite pattern for a complete different look! 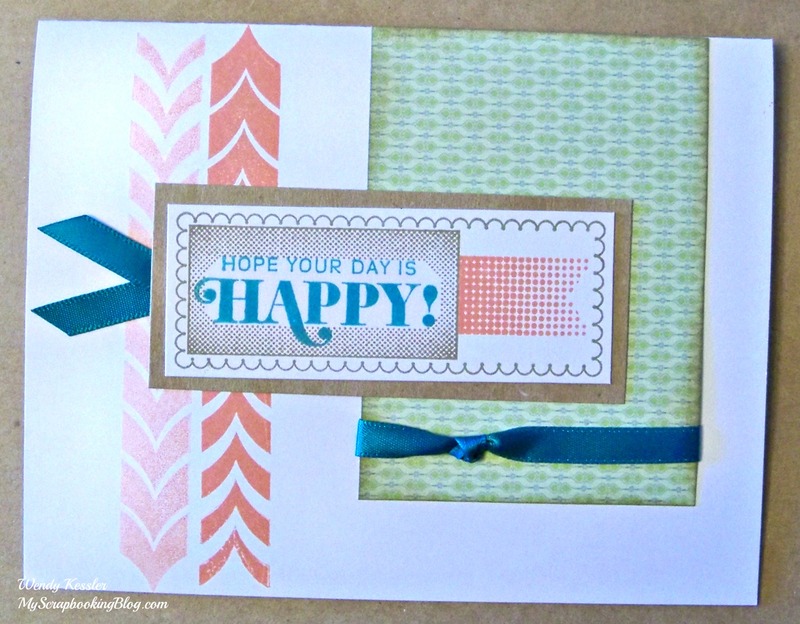 * Cut the Lagoon 3×12 (6×12 if doubling) and random stamp the large sheet before cutting. This will save a lot of time, just keep the stamped images fairly close envisioning that they will be cut into 1 1/2 inch squares. 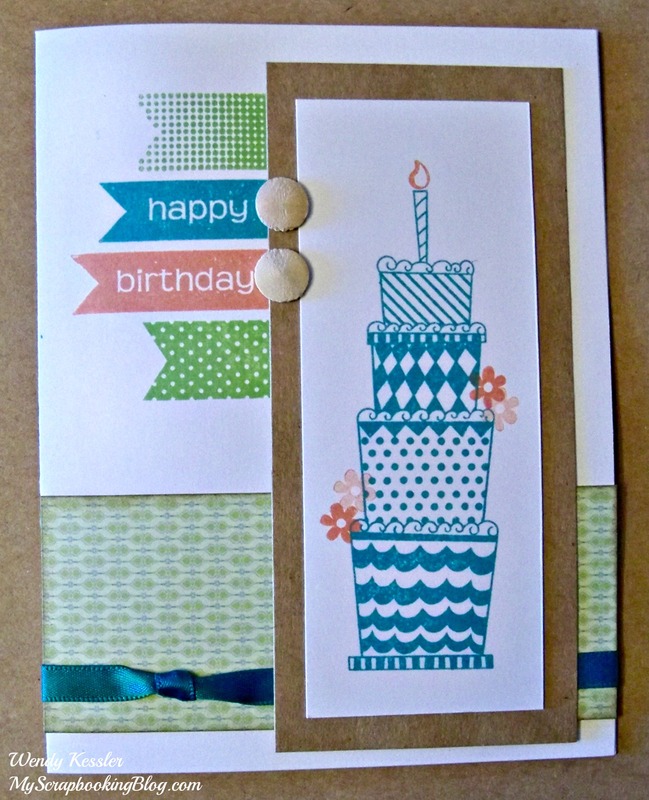 * Card 3: Line up the bottom of the ribbon at 2″ from the bottom of the card and adhere first. This will make it easier to line up all the squares. Then when you get to the squares, if you line up the right side of the middle one at the 2-inch mark it will be centered. I really loved this kit! 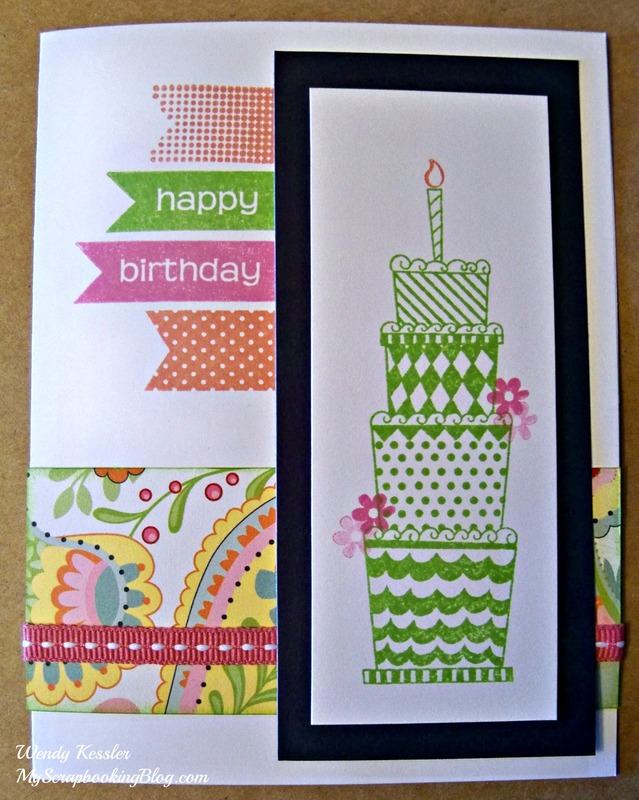 The cards were fun and easy to make and I go through a lot of birthday cards. As much as I liked them, I liked the reverse (girly) cards even better! Because I am always low on male cards, I made 12 of Card 3. I had enough of the provided ribbon to complete all the kit cards plus 7 more of Card 3. Thanks for sharing your cards. 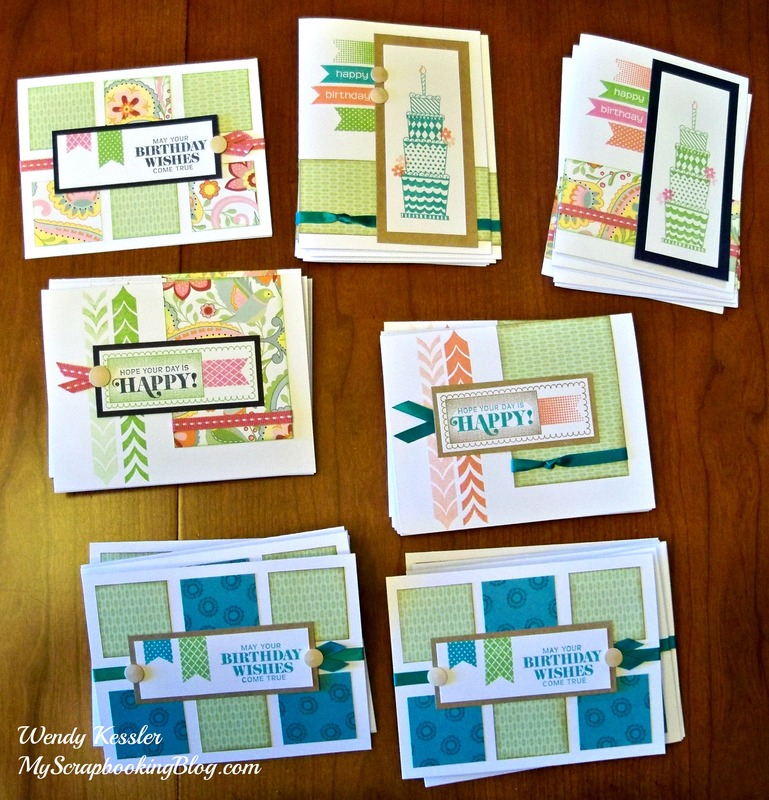 I especially like the ones with the six squares for the background…a wonderful way to use scraps. 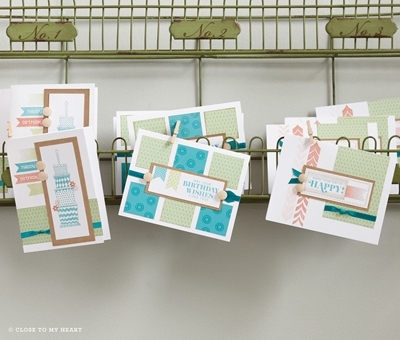 Love that you made the card workshop with another paper pack. 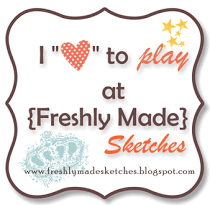 I did the workshop and loved the colours but using Chantilly is wonderful as well. Great job!